From sturdy European-style breads and buttery pastries to nostalgic Asian soft buns, these are the best bakeries in town for freshly-baked goods. Does anyone remember the very excellent Craft Bakers in Solaris Dutamas? Well, the former talents of the now-ceased German bakery have found a new space to preach the goodness of high-quality bread. The breads at Kenny Hills Bakers are similar to the kind you’d get at Craft Bakers, in that they are very good. The spelt sourdough and eight-grain breads are excellent – properly dense and almost meaty in taste. 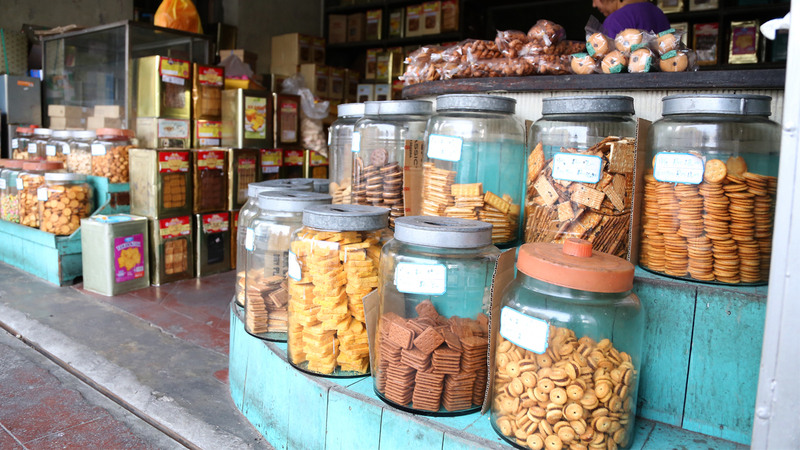 ‘We had to lower the temperature of the bakery to 20C because that’s the ideal temperature for fermentation,’ manager and chief baker Johnny Kyaw says. Not only is it slightly chilly, the space is impressively tiny with just about enough room indoors to pick your breads and leave. Those who order hot food prefer to sit outside. 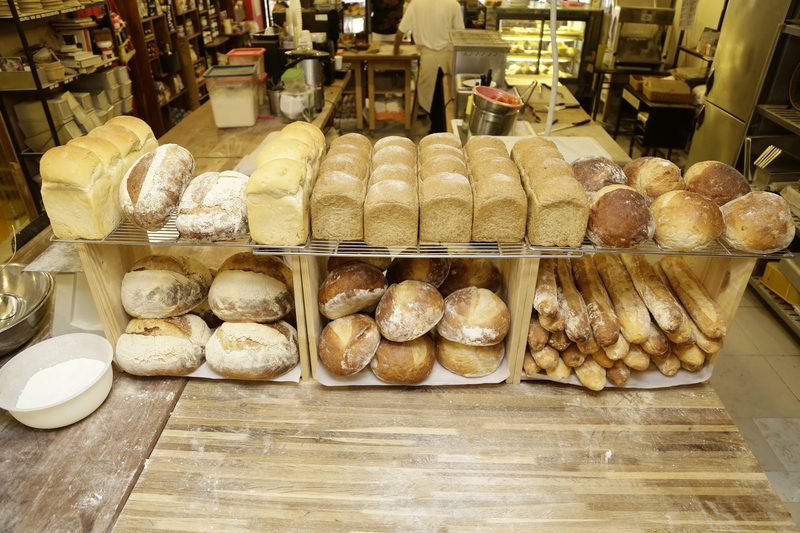 All the breads here are made fresh daily with unbleached flour. 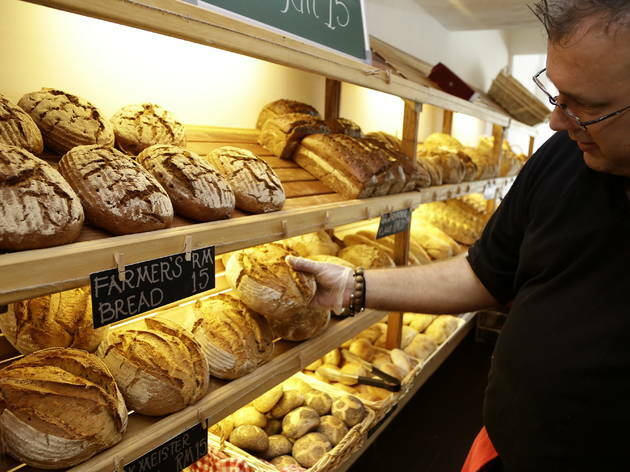 Which is just one of the reasons the bakery is a supporter of the Real Bread Campaign, a non-profit movement started in Britain to fight for the cause of healthy, all-natural breads. Once you get the virtuous buys out of the way, make sure to treat yourself to a slice of the pecan tart – possibly the most gooey, most gratifying version of the dessert in all of the city. There hasn’t yet been a new bakery or café this year that’s yielded as much attention as Huckleberry. The lines are blockbuster-sized on weekends for reasons sometimes unbeknown to us. What we do know is the breads and pastries here are pretty darn good. 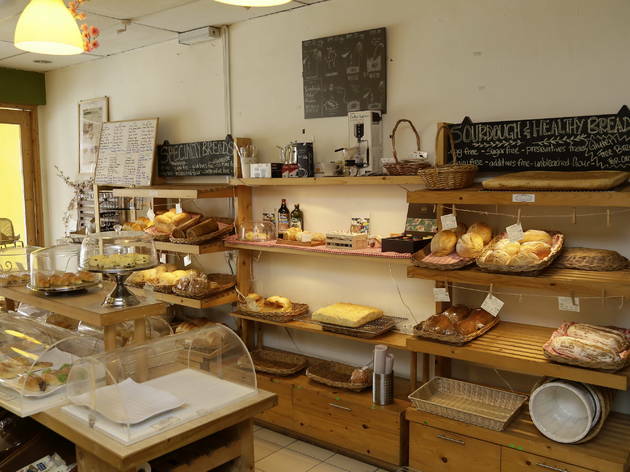 Previously led by Christophe Gros, the sturdy master baker with two decades of experience, Huckleberry has had resounding success in making good French-style breads ‘trendy’. 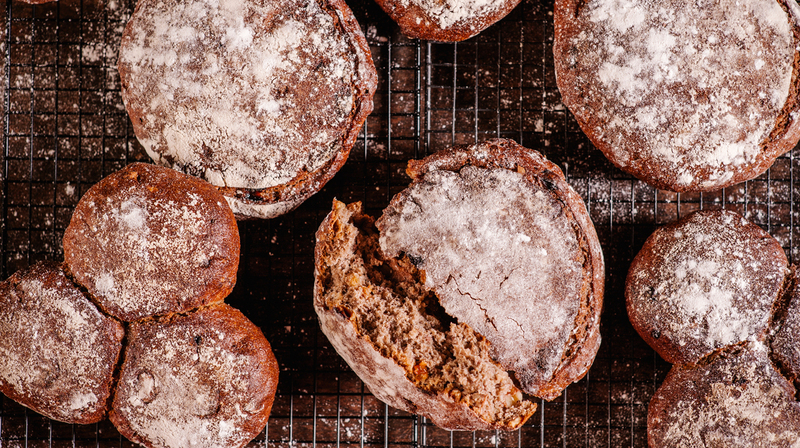 The signature Miche sourdough range is quite something – dark, full-flavoured and chewy with a distinct crust. More unusual additions like tiger bread (a soft dough with a mottled crust) and challah (a braided Jewish egg bread) are available too. Don’t make the mistake of looking past the pastries and Danishes. The cinnamon rolls, shaped like baby doorknobs, are pastry wrapped around a delicious cinnamon sugar filling and rolled about in sugar when still warm. If you’re not having one of these at teatime, you’re doing it wrong. The pain au raisin too is outstanding – orange-infused raisins worked into light, buttery pastry. Pairs great with black coffee, and even greater with heartbreak. Taking matters into their own hands, the group of friends decided to introduce Malaysians to handcrafted, traditional German breads. The distinguishing feature here is rye, used in at least seven varieties of bread, a far cry from the white wheat flour often used in the breads we are used to. Most of the breads here are raised by sourdough cultures and consist of simply four ingredients: flour, water, yeast/starter and salt. The pièce de résistance is the Grandfather Klaus – named after chief baker Klaus – a strong, heavy, square sourdough made of 80 percent rye. In taste, it’s both malty and tangy, and best eaten with only a smear of good butter. It can be likened to eating a good piece of meat; drowning it in sauce would simply shadow the meat’s qualities. ‘Because it’s such a strong bread, it wouldn’t go well with sweet jams or Nutella,’ Oliver adds. 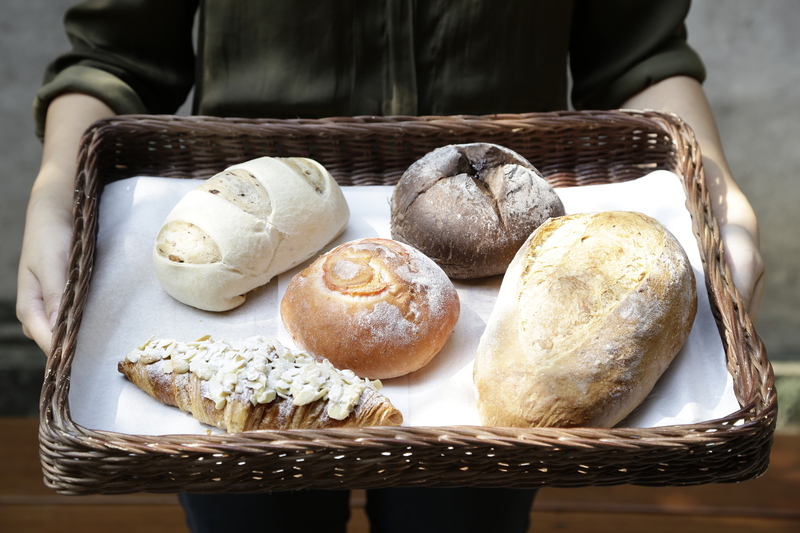 To try a bit of everything, go for the bread sampler pack, a take-away package of a couple of slices of the bakery’s most distinct breads. Have some friends over, put some cheese out, and you’re sorted. Other German pastries and cakes are rotated fresh from the ovens too, but beware of a few that are shatteringly sweet. The chewy crumble cake is lovely, as are the German apple strudels and almond marzipan horns. Forget healthy ryes. 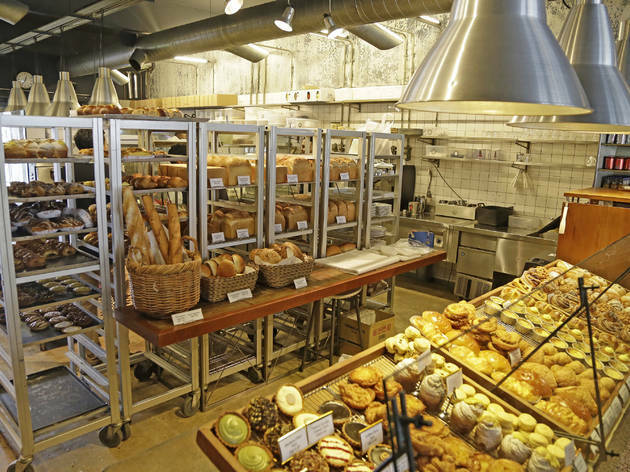 At The Bread Shop, it’s all about the butter-loaded pastries. They line the display shelf, alluring in goldenness, shimmering in egg glaze. The kouign-amann – probably the most fatty bakery item after the doughnut – is glorious. It shatters into a million flakes, and is rolled with enough butter to fill a bathtub. It should be criminal then that they have a peanut butter version of it. After years of practice, The Bread Shop has got their puff pastry skills down pat. The signature banana-scotch is one such example – crisp pastry encasing a filling of banana and caramel. They’ve just introduced cruffins, the outrageous artery-clogging hybrid of a croissant and a muffin. It’s all too much until you start again the next day. 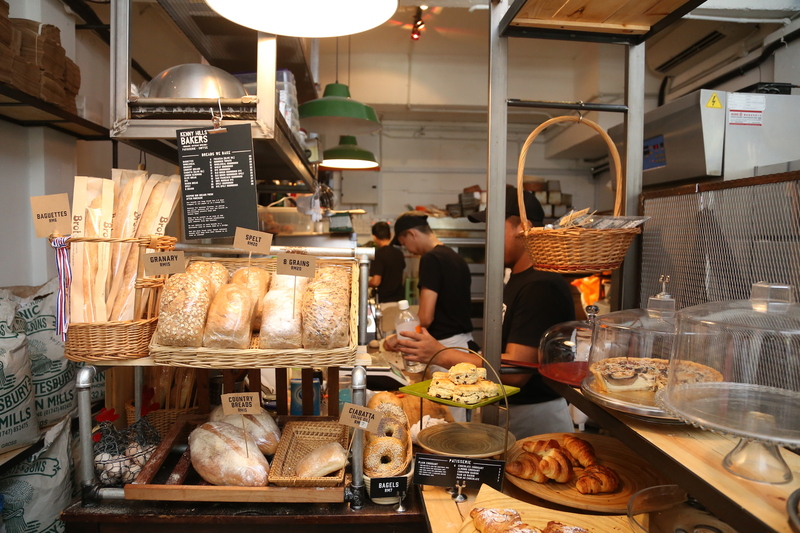 While sturdy French- and German-style breads make their way into the market, us Malaysians will never be able to say goodbye to the soft breads and buns we grew up with. Who would want to forget the breakfast coconut buns, the floppy Gardenia sandwiches, or those oblong ice cream buns? 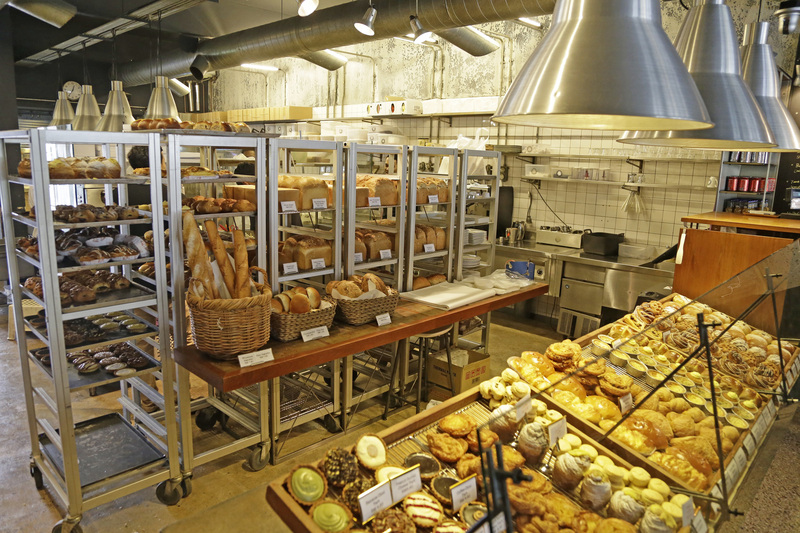 Evendough @ Greenhouse by Muir is just the place to stock up on some of the best soft bakes in zany flavours. Coffee bread filled with globs of creamy coffee custard? Japanese curry-flavoured buns? Chocolate bread studded with tiny squares of chocolate cake? Strawberry and red wine-fermented loaves? They’re all available in this cosy space where evidently, no rules apply. 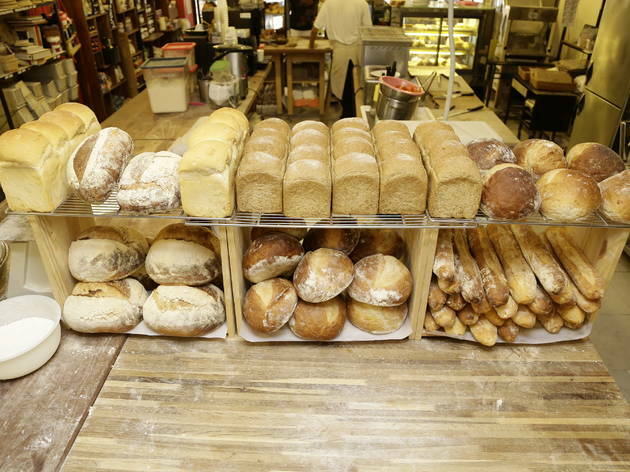 In bakery years, Tommy Lee is a veteran in the bread business. When business first kicked off in late 2010, a portion of Tommy’s customers was still getting used to the concept of bread without additives, breads made without improvers, softeners, sugar and milk powder. 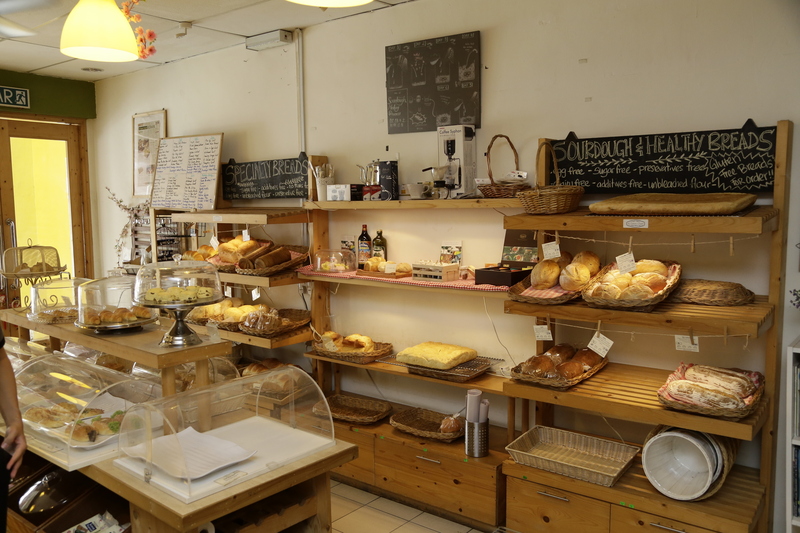 But the baker was determined to educate Malaysians about the health and taste qualities of European breads, equipped with the bread-making prowess he collected when living in France. These days, Tommy’s customers seem a lot happier to be biting into sturdier breads, and according to Tommy, it’s all in the taste. ‘The more they chew, the more the taste is extracted,’ he says. At Tommy’s, taste is entwined in a process of slow fermentation, aided by sourdough starter (aka wild yeast) or yeast. The sourdough breads are left to ferment for four days and three nights, a habit most commercial bakeries cannot afford in practice. The slow fermentation also allows for the glutens in the dough to relax, an important, often overlooked, step in bread making. ‘In commercial bakeries, they strain the dough so the gluten gets stressed. And they inject all sorts of things to strengthen the dough,’ Tommy explains. Additionally, breads with relaxed gluten are safer to consume among those with celiac disease compared to those from commercial bakeries. 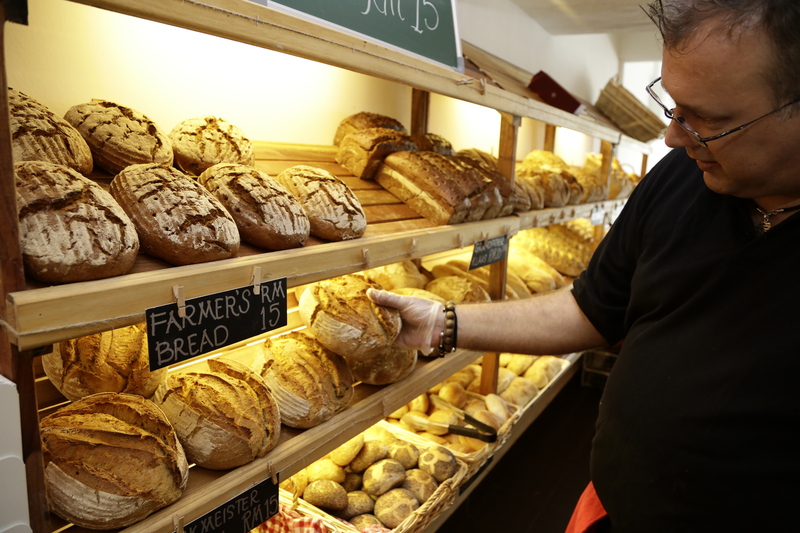 ‘Customers with gluten intolerance buy my bread and they don’t seem to have a problem,’ he adds. It’s all rooted from a culture of respecting nature’s environment and temperatures. We also like that at Tommy’s, you buy what you need. Loaves can be purchased in quarters or halves, or sandwiched with fillings like steak and tuna. It’s a win-win at Tommy’s, all the time. 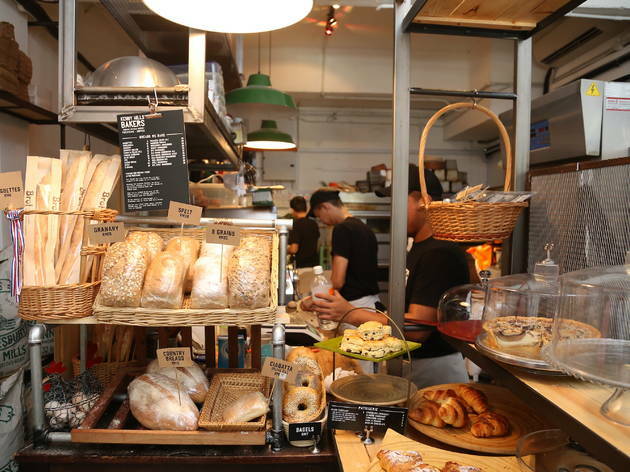 In the Subang Jaya neighbourhood of unbounded chain bakeries, The Carpenter’s Daughter stands out. Run by the very lovely Jin Ying since 2011, the bakery was one of the firsts in the Klang Valley to put the term ‘artisan’ on a pedestal. 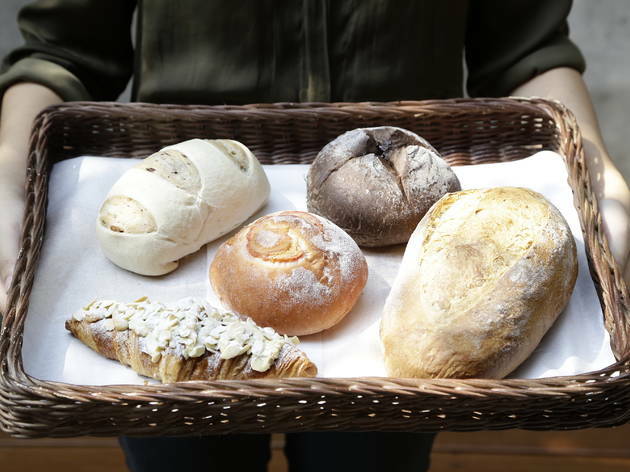 What started out as a bread supplier to organic cafés eventually flourished into a full-fledged bakery where seats are hard to come by on weekends. The space is a bit country-camp with wheat-coloured furniture and checked tablecloths, but all the better to envelop you in comfort. We’re long-time fans of the bakery’s sundried tomato focaccia, dimpled, pillow-soft and sweet with just the right amount of chew. Other breads that are worth the trip here are the rosemary-sea salt version of the focaccia, and the Italian herb breads. 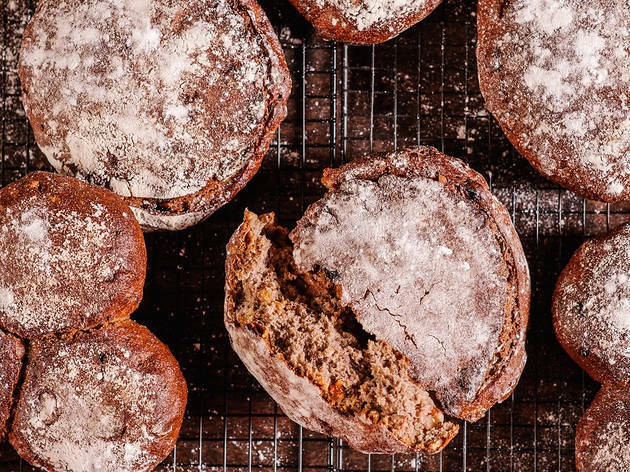 Rather than breakfast, these breads are great with soups and sandwiches, and are flavourful enough to be torn up and eaten alone. Gluten-free and special diabetic loaves are also available on advance orders. 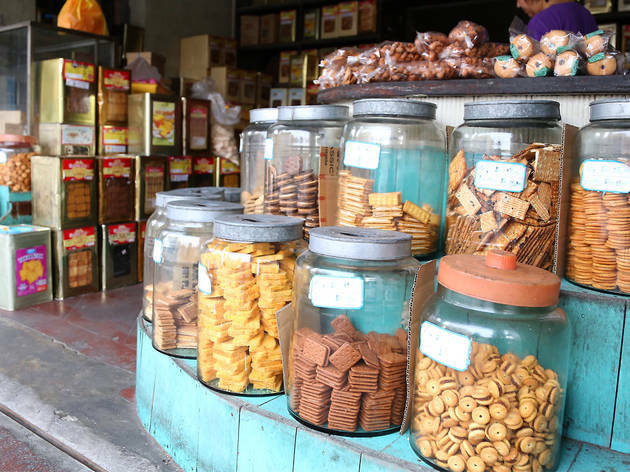 Get your fix of old-school tarts, biscuits and cakes at some of the last-standing Chinese bakeries in town.